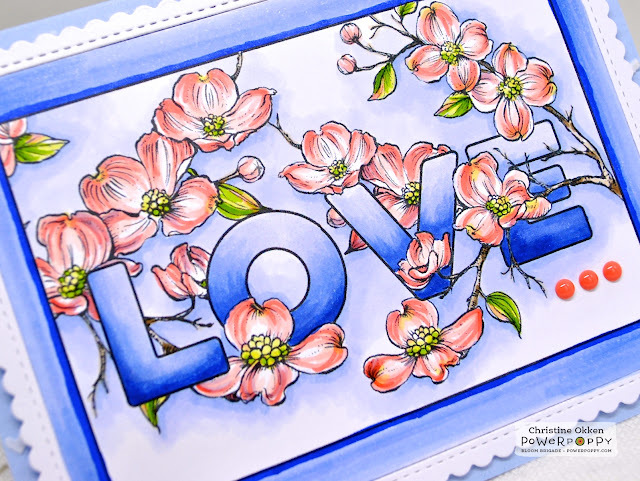 Did you see what our rock star Julie created on Inspire Me Monday post at Power Poppy this week? It’s a gorgeous tutorial on how to use words in your design and layer your digital images with them. Well, Marcy liked it so much, she’s offering this word-play image from Graceful Still Life, with the digital set she’s already illustrated. 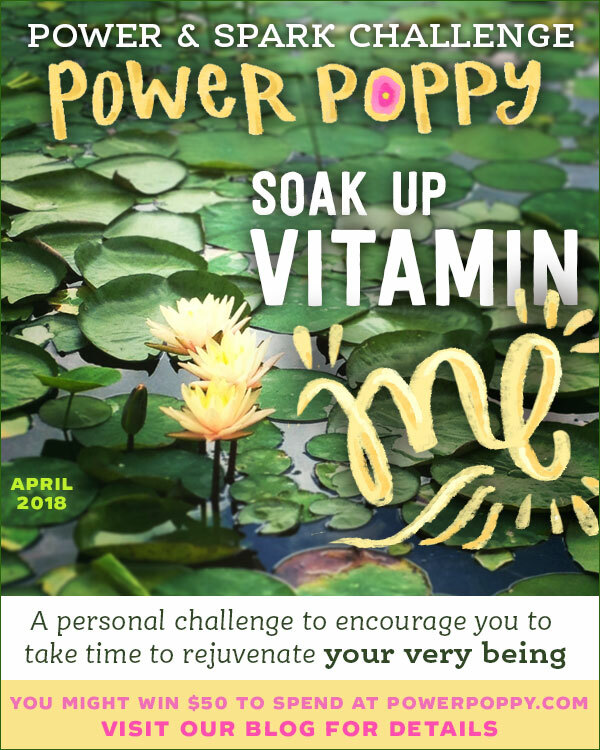 If you’ve already purchased the set, it will be available for you in your PowerPoppy.com account, if you haven’t purchased it, it will now be included in the digi. So awesome. I think what Julie did was fantastic, so I wanted to play with the image today too. I found some pretty dogwood blooms that are almost a peachy-pink colour, and I started colouring them up adding a pretty acid green for the centers and leaves. Across the colour wheel from this peachy-pink would be a purply-blue so I decided to make that my background colour. Then I didn’t want to distract from the colour pairing so I just deepened the purply-blue in the letters in a ombre feel. I coloured loosely around the framing in those colours to keep it cohesive and give it a bit of a chunky frame next to the scalloped frame die. Aren’t those colours dreamy together? Here’s the Copics I used. 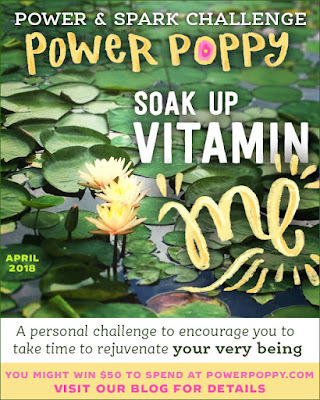 Remember that we’ve got a great Power & Spark Challenge going this month called, Vitamin ME! It’s so easy to enter, all you have to do is let us know what brings some spark to your life. 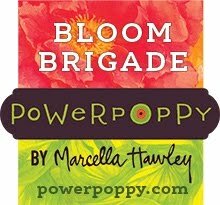 Answer on the Power Poppy Blog and you’re in the running for a $50 Shopping Spree at the store! 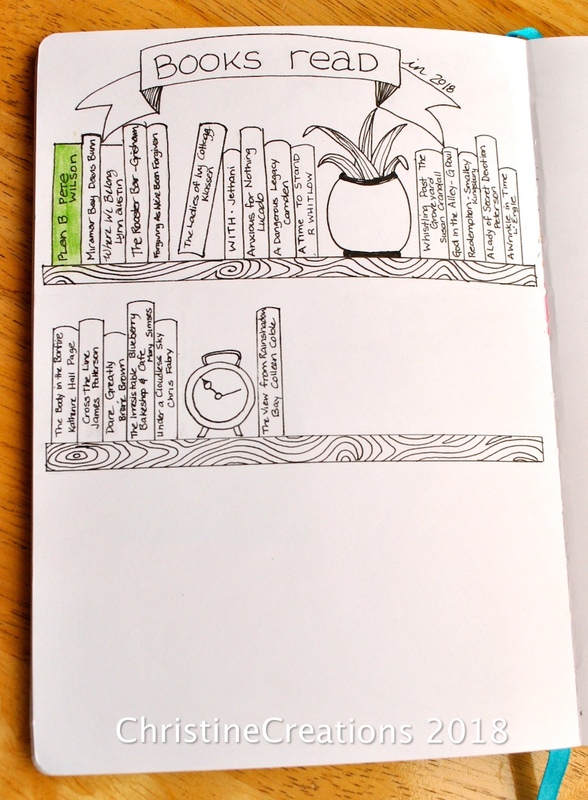 I LOVE to read, and this year I’m documenting it in my journal. I started colouring in a book title, and now I’m wondering if I like it better in b & w. I actually read quite a lot, because I love to learn and because it relaxes me. I read each night before bed to tell my brain a story before I go to sleep, and then whenever else I can squeeze it in. I try to read at least one non-fiction, personal-growth type book, plus whatever fiction catches my eye each month. My goal is always about 5 books, but you can see this year I’ve read 21 already, and have two more on the go (1 fiction and one non-fiction). What’s your Vitamin Me today? Now I’ll invite you to pop by the rest of the Bloom Brigade playing along. Gorgeous, Christine! I just downloaded this today and will color it later for an anniversary card. Brilliant of Julie, and you've done a stunning rendition of it. Cute and fun project to document your books. Of course, I had to enlarge and read all the titles. Thanks for sharing. This was fun!